The due process hearing in this case convened on August 13, 14 and 15, 2013, before Administrative Law Judge (ALJ) Paul H. Kamoroff, from the Office of Administrative Hearings (OAH), State of California, in Van Nuys, California. Student’s father (Father) represented Student. Student’s mother (Mother or, collectively referred to with Father, Parents) attended the second and third day of the hearing. Student was not present during the hearing. Bernadette Buckley provided Spanish to English translation for Mother on the second and third day of the hearing. Donald A. Erwin, Attorney at Law, represented the Los Angeles Unified School District (District). Francine Metcalf, specialist in Compliance Monitoring and Support for the District, attended each day of the hearing. On May 6, 2013, Parents on behalf of Student filed a Request for Due Process Hearing and Mediation (complaint), naming the District. On June 13, 2013, the District requested to continue the due process hearing, which was granted on June 19, 2013. 1An inadvertent error was corrected in Factual Findings, paragraph 4. At hearing, the ALJ received sworn testimony and documentary evidence. The following witnesses testified: Father, Carrie Schwartz, Christy Holcombe, Margaret Hall, David Sanchez, Meghan Griffin, Jacquelyn Olbrychowski, and Svetlana Guermacheva. At the request of the parties, the record remained open for the submission of written closing briefs. The parties filed their closing briefs on August 29, 2013. The ALJ marked Student’s closing brief as Exhibit S-3 and the District’s closing brief as Exhibit D-20. The matter was submitted on August 29, 2013.
a) Failing to provide an appropriate transition plan and transition goals? b) Failing to provide two hours per week of speech and language services? c) Failing to provide intensive occupational therapy (OT) services? d) Failing to provide appropriate assistive technology? 2) Whether the District procedurally denied Student a FAPE by failing to ensure meaningful parent participation at the April 10, 2013 Individualized Education Program (IEP) meeting, by predetermining the IEP offer? 3) Whether the District denied Student a FAPE by awarding him a high school diploma? Student is a19-year old with autism who has been conserved by his Parents. Student has had great difficulty over the last several years academically, socially, and behaviorally, yet he received passing grades and was awarded a high school diploma. His parents assert that Student does not have the requisite academic, transitional, and self-help skills required of a high school graduate. They do not believe that he earned passing grades based upon unmodified work completed by Student. For these reasons, Parents complain that the District unlawfully graduated Student from high school. Parents also complain that the IEPs failed to remediate Student’s deficits in speech and language, OT, assistive technology, and failed to provide adequate transition services. Parents also contend that Student’s final IEP, which was held in April 2013, was predetermined. In response, the District points to Student’s grade point average (GPA) of 3.1 and a class ranking of 215 out of 648 students. The District argues that Student earned these scores while placed in an unmodified, general education curriculum. For these reasons, the District asserts that it lawfully graduated Student. For the following reasons, this Decision finds that the District provided Student a modified curriculum which did not comport to his IEPs or state requirements necessary to award a high school diploma. This Decision also finds that the District failed to provide Student appropriate related services and predetermined the April 2013 IEP. 1. The Student in this matter is a 19-years-and-five-months old male who is a graduate of North Hollywood Senior High School (NHSHS), a public school located in the District. Student received a high school diploma from NHSHS at the end of the 2012-2013 school year, which was Student’s senior year of high school. Prior to graduation, Student qualified for special education and related services as a pupil with autism. Student has lived with Parents, within the boundaries of the District, at all times relevant to this proceeding. 2. At present, Student still resides with Parents, and his twin brother who is also autistic, in a home that is within the boundaries of the District. Student’s Father speaks English and his Mother is a Spanish language speaker. Student speaks only English. Student does not attend school or college, and he is unemployed. 3. Student began attending NHSHS at the beginning of the 2009-2010 school year, which was Student’s freshman year of high school. Student was 15-years-and-five-months old when he began high school. Student attended the regular four years of high school and graduated at the age of 19-years-and-two-months old. The District provided Student an IEP each year he attended NHSHS, through his graduation in June 2013. Based upon his graduation from high school, Student is no longer qualified to receive special education and related services from the District. 4. Student exhibits severe autistic-like behaviors, social and emotional difficulty and behavioral problems. He has limited cognitive abilities and concomitant difficulty in paying attention and concentrating on school work. As a consequence, Student has delayed academic skills. His knowledge of receptive and expressive language is limited, and he has great difficulty with mathematical concepts. He has pre-emerging social skills and lacks the ability to understand interpersonal communication. Student also has difficulties in sensory processing, and he engages in self-stimulatory and sensory-seeking conduct. 5. Student is easily frustrated and responds to situations he dislikes by hitting, biting, and kicking those around him. It requires a team of adults to restrain Student when he demonstrates these behaviors. At school, it was not unusual for the District staff to physically restrain Student and remove him from the classroom to de-escalate his behaviors. 6. The District has provided Student varying levels of speech and language, OT, adapted physical education (APE), specialized academic instruction, and behavior support, throughout his high school years. The District has also provided Student one-to-one aide support throughout every component of his school day. Student is unable to independently dress himself, ride a bus, or attend any class, and requires constant, individual aide support. 7. On June 14, 2012, just 45 days following Student’s 18th birthday, Parents obtained a limited conservatorship over Student. The limited conservators’ authority includes the power to make educational decisions for Student. Father testified at the due process hearing, and he was a credible and persuasive witness. 8. Father primarily complains that Student does not have the requisite skills required of a high school graduate. He asserts that the District unlawfully placed Student on a “diploma track,” and unlawfully graduated Student from high school at the conclusion of his senior year. Instead, Student should have been placed on an “alternative track” whereby he could work towards a certificate of completion and be eligible for special education through 22-years-of-age. 9. Father argues that Student’s grades are not reflective of Student’s academic abilities and are the result of inflated scores and modified work. Student is not capable of understanding or completing any of the school work for the classes he has taken while in high school. Father has observed that Student is unable to read a short story, write a sentence, or answer a simple math question. He does not believe that Student has earned passing grades without significant help from his aide, or even with aide support. Father has not observed Student progress academically while at NHSHS. 10. Father also complains that Student’s individual transition plans (ITPs) were not congruent with his unique needs and failed to provide adequate support to transition him to postsecondary life. Student, at19-years-old, has not developed any independent living skills. He is unable to dress himself, has no employment skills and is unable to attend college. He cannot functionally communicate or understand dangerous situations, and requires constant adult supervision and support. Additionally, Student has never been taken into the community or provided vocational training by District staff, as called for in the ITPs. 11. Since at least August 2011, Father has not observed any progress in Student’s ability to communicate or to understand language. Student, after many years of speech and language services, still regularly provides echoic responses and has great difficulty communicating with others. He does not initiate conversations with peers and normally will not communicate with peers at all. He does not understand non-literal language, including analogies and axioms. Father asserts that the level of speech and language services that the District has offered Student is far below what is required to address his varied speech and language needs, and he recommended that Student receive two hours per week of individual speech and language therapy. Father has requested that the District increase Student’s speech and language service, and provide assistive technology to assist him in the area of functional communication, but the District has failed to respond to these requests. 12. Student has also not benefited from the District provided OT services. After several years of District-provided OT, Student still has difficulty in handwriting and sensory processing. Student responds aggressively to loud noises, background noise, and other stimuli. Father described one incident where Student hit a baby because the baby’s crying frustrated him. Parents are genuinely concerned for the welfare of Student and those around him. 13. Father contends that the District regularly failed to provide Student agreed upon services in the areas of speech and language, OT, and transition. He has requested service logs from the District which could detail the provision of these services, but the District has failed to provide him these documents. 14. Father has attended every IEP meeting for Student. However, Parents were not permitted to participate in IEP meetings held in April 2012 and April 2013, which were Student’s triennial and annual IEPs, respectively. Because Student was over the age of 18 at the time of the 2012 and 2013 IEP meetings, the District invited Parents to attend, but not to participate, at these meetings. The District has never invited Student to attend an IEP meeting. 15. Since the beginning of the 2011-2012 school year, Father has verbally requested additional services and a change of school placement for Student, to a more restrictive, modified special day class program. Parents have also requested that Student be placed in an alternative track curriculum. Father directed these requests to NHSHS administrator Carrie Schwartz, who has not responded to Parents. 16. Overall, Parents believe they have been intentionally removed from the IEP decision making process. Although they consented to the April 7, 2011 IEP, and an addendum IEP held in May 2011, Parents have refused to consent to each subsequent IEP. 17. On April 7, 2011, the District held an annual IEP meeting for Student. The purpose of the meeting was to establish his special education program for the 2011-2012 school year, which was the 11th grade for Student. The following people attended this IEP meeting: Parents; Carrie Schwartz, who facilitated the IEP meeting and served as an administrator designee; David Sanchez, who was Student’s special education teacher for biology; a general education teacher; Svetlana Guermacheva, who was the District’s occupational therapist; and the District’s APE teacher. Student, who was 17-years-old at the time of this IEP meeting, was not in attendance. 18. The IEP team reviewed Student’s progress regarding his previous annual goals and short term objectives. Student had 10 goals, one each in reading, writing, math, vocational education, fine/visual motor, speech and language, in the area of pragmatics, adaptive behavior, and three behavior goals. Each goal had two corresponding short term objectives, or benchmarks, that Student was required to meet prior to being able to attain that particular goal. Of the 10 goals and 20 short term objectives, Student did not meet any goals and failed to attain a single objective. 19. The IEP team then reviewed Student’s present levels of performance (IEPs), including teacher and staff reports in reading, writing, math, OT, speech and language, vocational education, and behavior. It was universally reported that Student had difficulty staying on task and required redirection every few minutes. Student was provided an adult aide, referred to as a behavior intervention implementation aide (BII), during every component of the school day, including the bus, each class, all breaks, lunch, and during class transitions. Even with the BII, Student had difficulty following simple directions and was unable to follow multistep directions. He was unable to work in a group setting and became frustrated when peers talked to him. He could not share information, had difficulty communicating across all settings, and had social and emotional functioning delays. Even with the assistance of his BII, Student was unable to complete most of his classwork. 20. In regard to reading, per teacher report, the IEP states that Student did not understand essays; couldn’t independently answer who, what, where, when, and how questions (“WH” questions); was unable to identify the elements of a plot; and had difficulty staying on task. In English class, Student had expressive and receptive language deficits which hindered his ability to access her class. In regard to writing, Student was unable to do any work, didn’t understand how to use a graphic organizer, and did not stay on any particular topic. Student did not understand the rules of capitalization or the proper use of basic grammar and punctuation. Even with BII support, Student was unable to put two sentences together. 21. IEPs in vocational education reported that Student would sit down in the classroom when prompted by his BII. He did not participate in classroom discussion and needed support from the BII to stay on task and complete assignments. Given the nature of Student’s deficits, he required extended school year (ESY) services. 22. In OT, IEPs showed that Student had difficulty with organization of behavior, had a variety of visual, vestibular, and proprioceptive seeking behaviors. He had difficulty with self-regulation, even when presented with sensory tools like a theraband. Student also had deficits in handwriting. He wrote in reduced size, inconsistent spacing and orientation to lines. The District’s occupational therapist recommended that Student have access to an Alphasmart keyboarding device to assist him to communicate. 26. The April 7, 2011 IEP, teacher and staff reports in reading, writing, vocational education, APE, speech and language, and behaviors, each concluded that Student’s various deficits impeded his ability to access the general education curriculum. After reviewing Student’s IEPs, the IEP team formulated 12 new goals which were similar or identical to the prior annual goals. 27. The April 7, 2011 IEP, in a section of the IEP entitled “Participation in State and District-wide Assessments,” stated that Student will take all regular state and district assessments, including the California State Tests (CST) and the CAHSEE. The IEP provided accommodations for the state and district testing, including extra time on a test within a testing day, and testing in a small group setting. 28. The IEP also provided Student various classroom accommodations, such as a small group setting, extended time, use of graphic organizers, and prompting to stay on task. The IEP did not include any modifications to Student’s instruction or curriculum. 29. The District offered Student placement at NHSHS in a general education curriculum, with all academic classes provided in a specific learning disability (SLD), special day class (SDC), and electives provided in general education classes. 30. The IEP provided Student home-to-school transportation and adult assistance while on the bus because he posed a danger to himself and others. He demonstrated behaviors which included moving around the bus while it is in motion, starting altercations, yelling, and kicking others. 31. The April 7, 2011 IEP, offered the following special education related services: speech and language services, in the area of pragmatics, at 120 minutes per month, one to five times per month; OT, at 200 minutes per year, one to10 times per year; APE, at 260 minutes per week, one to five times per week; Behavior Implementation Development (BID), at 600 minutes per month, provided one to five times per month; and BII, at 450 minutes per day. The IEP offered ESY services for BID, BII, and APE. 2 In his complaint, Student failed to allege that the District denied him a FAPE by failing to provide him an appropriate behavior plan. Consequently, that issue will not be determined in this Decision. 33. Beginning not later than the first IEP to be in effect when the child turns 16, or younger if determined appropriate by the student’s IEP team, and updated annually thereafter, a student’s IEP must include appropriate measurable postsecondary goals based upon age-appropriate transition assessments related to training, education, employment, and where appropriate, independent living skills. It must also include transition services (including courses of study) needed to assist the child in reaching those goals. Among other things, this transition plan, normally referred to as an ITP, must include exposure to vocational and community experiences, and if appropriate, training in independent living skills. 35. Parents signed their consent to the April 7, 2011 IEP, and signed their consent to an addendum IEP, which was offered on May 13, 2011. The addendum IEP was held solely to review the BII and BID services, but did not alter these services. There are no differences between the April 7 and May 13 IEPs. 36. Svetlana Guermacheva provided occupational therapy services for Student at NHSHS during the 2011-2012 school year. Ms. Guermacheva has received a master’s of arts in occupational therapy. She holds a state license as an occupational therapist. Ms. Guermacheva has extensive experience in the field of occupational therapy, including the assessment and treatment of numerous children with disabilities. She has worked as an occupational therapist for the District since 2008. Presently, she works as an occupational therapist at a District elementary school. Ms. Guermacheva testified at the due process hearing. 37. Ms. Guermacheva first met Student in September 2011, which was the beginning of his 11th grade at NHSHS. Ms. Guermacheva provided Student with one, 20 minute session of OT per month. She provided this service in a pull-out setting located in the school cafeteria, where she worked on helping Student attain his single OT goal, which was in the area of handwriting. 38. As an occupational therapist, Ms. Guermacheva is concerned with a child’s ability to process and regulate sensory information. She testified that, from working directly with Student, Student has significant sensory processing issues. This frustrates Student, which impacts his ability to pay attention and causes him to react aggressively when he is over-stimulated. Regarding attention, Student needs a large amount of verbal cues and has pervasive difficulty in his ability to remain seated and focused at his desk. 39. On March 27 and 29, 2012, Ms. Guermacheva completed a triennial occupational therapy assessment for Student. The assessment included a teacher interview, observations, and the Beery-Buktenica Developmental Test of Visual Motor Integration (VMI). 40. As part of her OT assessment, Ms. Guermacheva observed Student while he attended choir class. She observed Student frequently touching and twisting his hair, he covered his ears, and he was observed repeatedly rocking back and forth during this class. Ms. Guermacheva also interviewed Student’s history teacher, who reported that Student regularly engages in negative and aggressive behaviors while in class. 41. The March 2012 OT assessment found that Student has difficulty with organization of behavior; has a variety of visual, vestibular, and proprioceptive seeking behaviors; and difficulty with self-regulation. Student also has serious deficits in fine motor skills. Ms. Guermacheva reported that he cannot make a knot, fold his shoelaces, or utilize buttons. Per a writing sample, Ms. Guermacheva found that Student has deficits in handwriting, including writing in a reduced size, inconsistent spacing and orientation to lines. In regards to handwriting, Ms. Guermacheva testified that Student had not met his sole OT goal, which addressed handwriting. She described that Student continues to write with decreased letter size and little or no spacing between words. Student was not always responsive to verbal cues from his BII, so it was particularly difficult for her to work with Student to attain this goal. 42. Ms. Guermacheva described Student’s performance on the VMI. The VMI is a standardized test which assesses visual-perceptual, visual-motor, and motor coordination skills. Ms. Guermacheva reported that Student scored at the point second (.2nd) percentile on the VMI, which she described as a seriously low score even for a child with autism. This score showed that Student had severe deficits in the areas tested. 43. Ms. Guermacheva’s assessment recommended that Student be provided an Alphasmart keyboarding device to assist with his communication, and she repeated this recommendation during the April 2011 and April 2012 IEP meetings. However, the District has never provided Student this assistive technology device. 44. The March 2012 OT assessment reported that Student received a variety of “adaptations and modifications as necessary to meet his individual needs” to the core curriculum. Ms. Guermacheva’s assessment mistakenly reported that Student was placed in the alternative education curriculum, which, per her testimony, she supports as an appropriate curriculum for Student. 45. Ms. Guermacheva’s assessment recommended that Student required OT services to assist him to benefit from his specially designed instruction. She testified that Student had previously received 45 minutes per week of OT services, which had been reduced to 200 minutes per year, at one to 10 sessions per year. She does not know why the OT services were decreased, and believes that Student still requires intensive OT services. 46. Student received OT during part of the 2012-2013 school year. The District occupational therapist that was assigned to Student at the beginning of that school year left for maternity leave in mid-October 2012. The District did not assign a new OT provider to Student until sometime in February 2013. Ms. Guermacheva testified that one to 10 sessions, at 200 minutes per year, could mean that Student receives 10, 20 minutes sessions per year, or one, 200 minute session per year, and therefore a five month gap in services was not necessarily a violation of the IEP. However, she does not recommend this model for providing related services, and Student required a more consistent delivery model prescribed for services. 47. Overall, Ms. Guermacheva’s testimony supported Father’s assertion that Student required greater levels of OT than what was provided by the District. Student’s sole OT goal, in the area of handwriting, had not been met despite being repeated, and Student still struggles in this regard. Moreover, her testimony and assessment demonstrated that Student had various deficits which required OT and which went unaddressed in Student’s IEPs, including serious deficits in sensory processing, visual, vestibular, and proprioceptive delays, and difficulty with self-regulation. The District’s witness failed to support its contention that it provided an appropriate level of OT services to benefit Student in special education. 48. The District held Student’s triennial IEP meeting on April 11, 2012. Father attended the meeting. Although Student was 18-years-old at the time of this IEP, he was not invited to this meeting. In addition to other District staff, Christy Holcombe, who was the District’s transition teacher, attended this meeting. Ms. Schwartz facilitated the meeting and acted as the District’s administrator designee. 49. The IEP team reviewed Student’s progress towards his goals and determined that Student met four of 12 goals from the April 11, 2011 IEP. The team also reviewed Student’s IEPs, which included the following: in math, the teacher reported that Student struggled with simple addition and subtraction. He was unable to perform equations at the class level, even with assistance. In reading, Student was unable to independently analyze or comprehend any questions. In English class, he struggled with words. He did not understand multistep directions, even with assistance. Student was easily frustrated in this class. In writing, with his aide, Student was able to write a simple sentence. He still did not understand punctuation and could not independently use a period. The teacher also reported that “[Student] struggles with question marks and how to use them.” Student was unable to write an essay on par with his class, even with assistance. 50. IEPs in behavior are identical to the IEPs contained in the April 7, 2011 IEP. Student still had serious behavioral challenges, which were ubiquitous throughout the day. Student was easily frustrated, and when frustrated, he would hit, kick, bite, swear, and throw objects. There was no indication that the length or severity of these episodes had changed since the prior IEP. 51. IEPs in OT were also similar to what was reported in the April 7, 2011 IEP. Student still manifested a variety of visual, vestibular, and proprioceptive seeking behaviors; difficulty with self-regulation; and deficits in handwriting. The IEP did not indicate that Student progressed in any area of deficit. The IEP again recommended that Student be provided an Alphasmart keyboarding device. 52. In speech and language, IEPs indicated that Student had not met the prior goal, which was for Student to engage in a four-part verbal exchange with a peer without prompting. Student was unable to independently engage in a single verbal exchange, and still required significant prompts for any interpersonal communication. 53. The teacher and staff reports in math, reading, writing, behavior, vocational education, and speech and language, each separately concluded that Student was unable to participate in class, which hindered his ability to access the core curriculum. 54. The April 11, 2012 IEP, included test results from the Kaufman Test of Educational Achievement, Second Edition (KTEA-II), which Student took, with accommodations, as part of his triennial assessments shortly before the April meeting. The KTEA-II is an individually administered battery that gives a thorough assessment of the key academic skills in reading, math, and written language. KTEA-II scores are based on a mean of 100 and a standard deviation of 15, so that scores between 85-115 are within the average range. Per the KTEA-II, Student received the following scores: a 40 in math concepts, a 46 in math computation, a 69 in reading comprehension, a 63 in written language, and a 40 in written expression. Pupils with low level abilities will receive scores between 70 and 85. Thus, Student’s test results showed that he had below low level abilities in reading, writing, and math. 55. The April 11, 2012 team reported that Student still required a BII during every component of his day, including while on the bus. The team reported that Student has poor communication skills and “is unable to use appropriate forms of communication.” He could not “ask for a break, ask or use sensory ball, and /or ask to take a walk.” Student required that simple directions were repeated, and he was unable to appropriately transition 90% of the time. 3 The 2012 IEP described the speech and language services at one time per week, 30 minutes per session, while the 2011 IEP described this service as one to five times per month, at 120 minutes per month. The 2012 IEP also terminated Student’s APE service. 56. The District developed new goals in the same areas as those included in the prior IEP, with similar services, at the same duration and frequency, as offered in the April 2011 IEP.3 The District repeated its placement offer at NHSHS, in a general education curriculum, SLD SDC’s for core classes, and general education for electives. 57. The April 11, 2012 IEP, also stated that Student will participate in all state and district assessments with accommodations, including the CAHSEE. This IEP provided identical accommodations to those found in the April 7, 2011 IEP. Similarly, the April 11, 2012 IEP, did not describe any modifications to Student’s instruction or curriculum. 58. The IEP included a BSP which was unchanged from the prior year. The IEP and BSP did not include any data regarding the frequency and duration of behaviors, or a list of behaviors which were being targeted by the BSP. Based upon the information provided, it was not possible to determine whether Student’s behaviors were better, worse, or unchanged, since the prior IEP. 59. The IEP reported that none of the activities or goals listed in the 2011 ITP had been worked on or completed. The 2012 ITP continued to describe that Student is interested in pursuing a career in music and technology. This ITP indicated that Student was still in school, had never worked, had no community experience, and required assistance in the area of independent living. The 2012 ITP contained a single goal, for Student to “communicate personal preference using an identified mode of communication.” Under community experience, the ITP stated that District staff will assist Student in obtaining a driver’s license or a state identification card. 4 Student’s complaint failed to allege he was denied a FAPE based upon the District’s failure to provide him prior written notice. This issue will therefore not be addressed by this Decision. 61. David Sanchez was Student’s case carrier during his tenure at NHSHS. He was also Student’s teacher for biology during the 2010-2011 school year, which was Student’s 10″th> grade, and for chemistry during Student’s 2011-2012 school year, which was Student’s 11th grade of high school. Mr. Sanchez was also responsible for developing Student’s BSP and ITP. Mr. Sanchez testified on behalf of the District. 62. Mr. Sanchez has a bachelor’s degree in administration and business management. Since 2009, he has possessed a clear credential and a special education credential, as well as an autism certificate. He began teaching at the District in 2003 as a resource specialist assisting students in English and math, and taught history and science to learning disabled students in middle school for seven years before being assigned to NHSHS to teach high school science, biology, marine biology and chemistry. 63. Mr. Sanchez described Student’s science classrooms for both the 2010-2011 and 2011-2012 school years as SLD SDC’s. Other than Student and his twin brother, all the pupils in his class had IEPs for students with a SLD. Several years earlier, Student had been placed exclusively in autism specific SDC’s for each class. However, in response to a Parent request that Student be afforded more mainstreaming opportunities, the District moved Student to SLD specific SDC’s for each class, other than some elective classes which Student received in general education classes. Mr. Sanchez’s biology and chemistry classes included one full time aide and approximately 15 students, along with BII’s for Student and his brother. 64. Mr. Sanchez described that Student had difficulty communicating, seldom interacted with his peers, and was unable to work independently from his BII. Mr. Sanchez, or his classroom aide, prepared Student’s quizzes and tests separately from the other students, whereby they would write the page number of the text where each answer could be found, next to each problem. Mr. Sanchez, or the classroom aide, would then hand this modified assignment to Student’s BII, who would look up the answer, point the answer out to Student, and then the BII would write, or assist Student in writing, the answer on the quiz or test paper. With this assistance, Student received a “C” in each of the chemistry and biology classes taught by Mr. Sanchez. 65. As Student’s case carrier, Mr. Sanchez described that he was solely responsible for developing and implementing Student’s BSP, which he did without the assistance of the school psychologist. He also led a team of District staff who would occasionally restrain Student when he posed a threat to himself or others while at school. Mr. Sanchez does not know the cause, or antecedents, for Students aggressive outbursts, and he has not implemented any consistent positive replacement behaviors. There was no evidence provided regarding his training or experience in the area of restraint methodologies. 67. On March 16 and 20, 2012, Mr. Sanchez observed Student during various parts of the school day. In his English composition class, also an SLD SDC, Student sat next to his twin brother and immediately began rocking back and forth in his seat. Student spent the class rocking in his seat and focused on flicking his pencil. He did not pay attention to the other students or to the teacher. When the teacher was talking, Student would not look in her direction or respond to her in any manner. During chemistry class, Mr. Sanchez observed Student rocking back and forth in his chair and he was inattentive during the entire class. During lunch in the school cafeteria, Student rocked back and forth whenever he sat. He was bothered by noise and would cover his ears. After eating, Student began walking back and forth in the back of the cafeteria, and was observed laughing to himself. Mr. Sanchez did not observe Student interact, or attempt to interact, with a single peer during his observations. 68. Mr. Sanchez also wrote the ITPs found in Student’s April 2011, April 2012 and April 2013 IEPs. He testified that he wrote these ITPs based upon testing conducted in October 2009, by the District’s Department of Transition Services (DOTS) teacher, Christy Holcombe. He described that the test utilized by Ms. Holcombe in 2009 is called the Janus, and is used for purposes of developing a plan for Student to transition to postsecondary life after high school. The results of the Janus indicated that Student enjoyed music and art, and planned to pursue a career in the area of music and technology. Additionally, Mr. Sanchez testified that it was Ms. Holcombe who had implemented Student’s ITPs, and that he has never directly implemented any part of the ITPs. As discussed herein, Mr. Sanchez’s testimony regarding the ITPs was contradicted by Ms. Holcombe. 69. In February 2012, Mr. Sanchez attempted to administer a transition inventory on career interests on Student. The questionnaire usually takes 15 minutes to complete, but Mr. Sanchez worked on it with Student for two to three hours per day over three days, with the assistance of Student’s BII, and was unable to complete this inventory. The fact that Mr. Sanchez was unable to complete this inventory was not discussed during the April 11, 2012 IEP meeting, held just two months later, or the April 11, 2013 IEP meeting. 70. Mr. Sanchez’s testimony supported Student’s contention that he was not provided classwork in a manner which was unmodified from the general education curriculum, as prescribed by his IEPs. Rather, Mr. Sanchez’s testimony demonstrated that Student’s work bore little resemblance to the work provided other students. He modified Student’s classwork to reduce the difficulty of each assignment presented, which was then reduced again in difficulty by the BII, who regularly completed the modified work for Student. His testimony also revealed that the IEP team failed to consider important information or share this information with Parents, such as Student’s inability to complete a simple transition inventory, even with assistance. That alone should have alerted the District that Student faced serious academic and postsecondary hurdles that were not being addressed in his present educational program. 71. Ms. Holcombe was Student’s transition teacher during the 2012-2013 school year. She has multiple degrees and credentials, including a special education credential and a certificate for teaching life skills, and has worked for the District in DOTS for the past 10 years. Ms. Holcombe also testified on behalf of the District. 72. Ms. Holcombe’s testimony regarding Student’s ITPs was vastly different from what was provided by Mr. Sanchez. For example, Ms. Holcombe testified that she had not performed the 2009 Janus test which was used to develop Student’s ITPs, and which Mr. Sanchez attributed to Ms. Holcombe. When presented a copy of the 2009 Janus test, she stated that she was not responsible for this particular test and described that the handwriting on the test did not belong to her or to Student. Ms. Holcombe was unable to identify whose handwriting was on the test, but testified that she had not assessed, or even directly met, Student prior to April 2013. She also reported that the evidence described as the Janus test was an incomplete section of the Janus test. 73. Ms. Holcombe first assessed Student in April 2013, just prior to his exit IEP meeting, and just two months prior to his graduation from high school. She met with Student for the purpose of completing a Senior Transition Inventory (STI), which is completed by every senior at NHSHS. The STI prompts discussion on life after high school regarding academic and career plans. However, during the testing, Student was unable to understand simple directions, could not complete a sentence, and had difficulty writing single words, even with assistance. Student also had difficulty communicating and could not verbally respond to the questions. He was inattentive and required prompting every few minutes, and was unable to complete any portion of the transition inventory, even with the assistance of Ms. Holcombe and his BII. Ms. Holcombe found that Student was functioning far below that of a high school student, and she was unable to yield any qualitative information from her meeting with Student. Although she attended the April 11, 2013 IEP meeting, which was Student’s exit IEP, Ms. Holcombe failed to discuss Student’s inability to complete the STI with Parents or the IEP team. The fact that Student was still incapable of completing a simple inventory a year later, even with assistance, should have alerted the District that Student had pervasive and systemic academic difficulties which required more intensive intervention, and it was therefore inappropriate to consider him a candidate for a regular high school diploma at that time. 74. Ms. Holcombe testified that she has never implemented any part of Student’s ITPs, or consulted with Mr. Sanchez regarding Student’s ITP. She was generally unfamiliar with who was designated as Student’s case carrier, or who was responsible for implementing Student’s ITP. She described that District staff has never taken Student into the community, or ensured that Student explored a college or a community resource such as a bank, health care facility or postal service, or implemented any goal or activity called for in his ITPs. 75. Ms. Holcombe’s testimony also established that Student’s ITPs were not reflective of his unique deficits. Student’s vocational and postsecondary education abilities were far below what was required to complete the goals and activities listed in his ITPs. He is cognitively limited and was unable to obtain a driver’s license, complete a resume, develop a work portfolio, obtain letters of recommendation, or pursue a career in music or technology, as called for in his ITPs. 76. Ms. Holcombe revealed that Student had not been provided an individualized ITP, his ITPs had not been implemented by the District, and the ITPs were not based upon any test attributable to Student. Her testimony also verified Father’s complaint that Student was unable to functionally communicate, read or write, even with the assistance of his BII. This District witness wholly failed to support the District’s argument that Student was able to earn passing grades in high school level classes without substantial modifications to the curriculum. 77. The CST is a standardized state test which is designed to assess a pupil’s abilities in core academic subjects. Results on the CST are provided in the five rating categories, ranging from “Advanced” at the highest level, followed in descending order by “Proficient,” “Basic,” “Below Basic,” and “Far Below Basic.” Students who score at the “Below Basic” level demonstrate little or a flawed understanding of the knowledge and skills measured by this assessment in this content area. Results of “Far Below Basic” indicate a serious lack of understanding, even below that of a pupil with a below basic understanding of the material presented. 78. In spring 2012, Student took the CST with accommodations and scored “below basic” in science and history, and “far below basic” in English and math. Despite these low scores and IEPs indicating that Student struggled with simple addition, basic punctuation, stringing two sentences together, comprehending plots, and answering “WH” questions, Student passed all of his 11th grade classes and earned excellent grades: “B” in contemporary composition, “B” in American literature, “A” and “A” in U.S. history, “C” and “C” in algebra two, and “C” and “C” in chemistry. 79. In fall of the 2012-2013 school year, Father informed Ms. Schwartz that Parents had been appointed conservators of Student, and requested that the April 2012 IEP team meeting be reconvened to discuss Student’s placement. Father was dissatisfied with the present program and wanted to explore an alternative placement for Student. Ms. Schwartz did not respond to Father’s request. According to Ms. Schwartz, she requested that Father provide her with a copy of the conservatorship, which he refused to provide. However, her testimony was less persuasive than that of Father, who testified that she had not made such a request. Father appeared sincere in his concern for his son, and had promptly obtained the conservatorship within 45 days of Student turning 18-years-of-age. It is illogical that he would have withheld these papers from the District had it been requested. There is also no documentation of Ms. Schwartz’s request; if it was school policy to require that a physical copy of a court order be included in Student’s educational record, such a requirement and request should have been documented in writing. 80. In California, the state government developed the CAHSEE to determine proficiency as a requirement for a high school diploma. In 1999, the California state legislature passed the CAHSEE into law, and CAHSSE testing began, on a volunteer basis, in 2004. 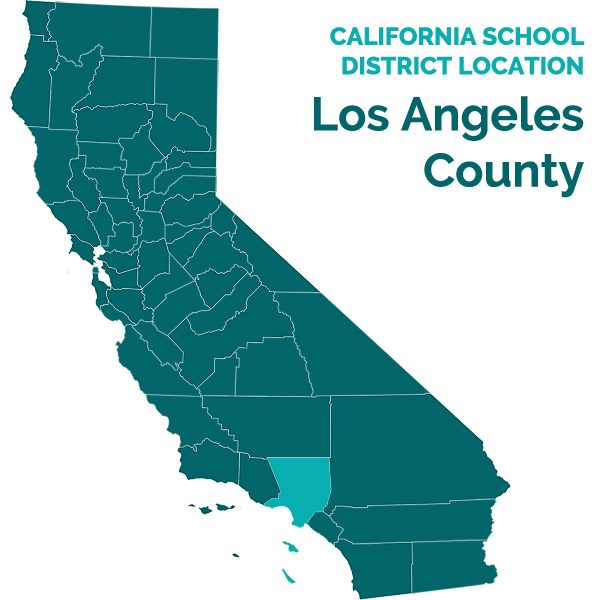 In 2006, the CAHSEE became a graduation requirement for public school students.5 The CAHSEE is divided into two main sections: English-language arts (ELA) and mathematics. The ELA section tests students at a 10th-grade level, and requires a score of 60% to pass; the mathematics section tests students at an eighth-grade level, and requires a score of 55% to pass. Normally, students are given the CAHSEE at the beginning of their sophomore year. The number of students passing the test on their first attempt has risen slightly each year since 2004. As of the 2011-2012 school year, more than three-quarters of students pass the test more than two years before they finish high school, and more than nine out of 10 students pass the test by the end of high school. 5 Beginning in 2010, 504 and IEP eligible disabled students may meet the CAHSEE requirement through an exemption. 81. In October 2012, which was the first semester of Student’s senior year of high school, Student took the CAHSEE, with accommodations, and failed both the ELA and math components of this standardized test. 82. Jacquelyn Olbrychowski was a substitute teacher in Student’s art class at times during the spring semester of Student’s senior year at NHSHS. She testified as a witness on behalf of the District. 83. Ms. Olbrychowski described Student’s art class as a general education classroom, with one teacher and 45 students. Other than Student’s BII, who always accompanied Student and stood directly next to him during class, there were no other adults in this class. Ms. Olbrychowski testified that Student enjoyed this art class, and particularly enjoyed painting. Student received an “A” in this class. 84. Ms. Olbrychowski recounted that Student was emotionally attached to the person assigned as his BII, and that Student became upset if a substitute BII was provided. On one occasion, Ms. Olbrychowski observed Student seriously attack a substitute BII during the art class, which caused unspecified physical injuries to the adult aide. Ms. Olbrychowski was unable to stop the attack by herself, and left her classroom of 45 pupils during the assault to obtain help from staff outside of the classroom. She was able to solicit the help of a male teacher who was teaching a class across the hall, who, along with additional District staff, were eventually able to subdue and restrain Student. Other than the BII being a substitute, Ms. Olbrychowski does not know why Student became physically aggressive towards this aide. 85. Meghan Griffin has provided speech and language services to Student on behalf of the District. Ms. Griffin has been a state licensed speech and language pathologist (SLP) since 2003. She has been employed as an SLP for the District since 2009, where she has provided assessments and direct services to pupils in general education and those with IEPs. 86. Ms. Griffin first met Student at the beginning of the 2012-2013 school year, which was Students 12th grade of high school. She was responsible for providing Student speech and language services during this school year. She has never assessed Student, and instead relied upon a District conducted speech and language assessment from the prior year. Ms. Griffin provided sworn testimony for the District in regard to its speech and language assessment and services. 87. The District’s speech and language assessment was conducted by Lyn Dee Harrelson, and was completed on March 14 and April 10, 2012.6 The assessment was completed as part of Student’s triennial evaluation and included a teacher interview, classroom observation, review of Student’s educational file, review of work samples and standardized testing. Ms. Harrelson included the following standardized testing: the Clinical Evaluation of Language Fundamentals – Fourth Edition (CELF-4); the Expressive One-Word Picture Vocabulary Test (EOWPVT); and the Receptive One-Word Picture Vocabulary Test (ROWPVT). Student was 18-years-old when he completed this assessment. 6 Ms. Harrelson did not testify during the due process hearing. The assessment, which was unsigned, states that it was prepared by Lyn Dee Harrelson, M.A. CCC-SLP. No evidence was provided regarding Ms. Harrelson’s training, experience, or credentials. 88. Ms. Griffin testified that she had carefully reviewed Ms. Harrelson’s 2012 assessment, consulted directly with Ms. Harrelson, and reviewed Student’s IEPs prior to providing him speech and language therapy. 89. Ms. Griffin attested that the District’s 2012 speech and language assessment found that Student’s sole speech and language disorder was a moderate pragmatic language deficit. She confirmed that she found no further deficits related to speech and language during her review of this assessment, her direct consultations with Ms. Harrelson, or based upon her personal experience as Student’s service provider. Given this information, Ms. Griffin testified that the District’s offer of one speech and language goal each year, in the area of pragmatics, and speech and language services at one to five times per month, 120 minutes monthly, was appropriate to meet Student’s individual speech and language needs. 90. However, during the hearing, Ms. Griffin often provided contradictory or uninformed responses pertaining to Ms. Harrelson’s assessment and Student’s needs in this area of deficit. For example, Ms. Griffin was unaware that Student was unable to complete the CELF-4 test. The CELF-4 is an individually administered test for determining if a pupil has a language disorder, and is provided to students beginning at five-years-of-age. The CELF-4 assesses four aspects of language, including morphology and syntax, semantics, pragmatics, and phonological awareness. Regarding the CELF-4, Ms. Harrelson reported that “[Student] was unable to comply with instructions to complete comprehensive language assessment.” Ms. Griffin did not discuss the reasons for Student’s inability to complete the CELF-4 with Ms. Harrelson, and she was unable to explain this failure during her testimony. Ms. Griffin did not attempt to re-assess Student using the CELF-4, and she has never proposed that Student be assessed, or re-assessed, in any area of disability. 91. Ms. Griffin was also unaware that this assessment found that Student exhibited serious expressive and receptive language disorders, not just delays in pragmatic language. Ms. Griffin had not reviewed Student’s scores on either the EOWPVT or the ROWPVT, nor had she discussed these scores with Ms. Harrelson. The EOWPVT tests an individual’s ability to name objects, actions, and concepts pictured in illustrations. The test is normed for Student’s between the ages of two to 18 years. Student obtained a standard score of 62, and placed in the first percentile on this test, which indicated a severe expressive language disorder. Of 100 students who were administered this test, 99 pupils performed at higher levels than Student. The ROWPVT tests an individual’s ability to understand the meaning of single words. Similar to the EOWPVT, this test is administered individually and is normed for pupils between the ages of two to 18 years. Student obtained a standard score of less than 55 on this test, which placed him at less than the first percentile, which demonstrated a severe receptive language disorder. 92. During questioning regarding details of Ms. Harrelson’s assessment, Ms. Griffin retracted her earlier testimony that she had reviewed this assessment and consulted with Ms. Harrelson. In fact, Ms. Griffin had not reviewed the District’s 2012 speech and language assessment as she previously testified, and she had not consulted with Ms. Harrelson regarding Student. 93. The District’s speech and language assessment found that Student was eligible to receive speech and language therapy services, and commented that Student had previously received 90 minutes per week of speech services until 2011, when it was reduced to 120 minutes per month. The assessment does not explain why the services had been decreased by two-thirds, given that Student had not met his speech and language goal and had exhibited serious expressive and receptive language delays. During the hearing, Ms. Griffin was not knowledgeable regarding Student’s prior services, and she did not know that his speech and language services had been decreased. She did not know the basis for this decrease, and she appeared dismissive towards Father’s assertion that Student required more, not less, speech and language therapy. 95. Ms. Griffin described that Student could access a general education curriculum and had been properly placed in the general education, diploma track program. However, this testimony was contradicted by Ms. Harrelson’s 2012 assessment, which concluded that Student’s deficits adversely impacted his ability to access a general education curriculum. 96. Ms. Griffin provided details regarding her familiarity and experience providing pupils assistive technology assessments, services, and devices. She reported that Student should not be provided assistive technology because he is verbal. She testified that only students who were entirely non-verbal, or mute, could be provided assistive technology assessments, services and/or devices. Here, because Student had the ability to speak, he was not an appropriate candidate for an assessment or services in this area. However, her testimony was contradicted by the April 2011 and April 2012 IEPs, the District’s OT, and the District’s 2012 OT assessment, each of which recommended that Student be provided a particular assistive technology device, an Alphasmart keyboarding device, to assist him in the area of communication. 97. Normally, Ms. Griffin attends IEP meetings for her students. She feels it is important for a service provider, such as herself, to be an active participant during the team meeting. However, she has never attended an IEP meeting for Student and described that she had a scheduling conflict during Student’s April 11, 2013 IEP meeting, and chose to attend another pupil’s IEP meeting instead. Ms. Griffin has never attempted to contact Parents, and she has not met with them to discuss Student’s speech and language needs, despite Father’s requests to Ms. Schwartz that Student be provided more intensive speech and language services and assistive technology. 98. Ms. Griffin reported that Student had met his speech and language goals. However, Student only had one goal in this area, which had been repeated in Student’s 2011 and 2012 IEPs. This particular goal related to turn-taking and required Student to complete four, unprompted verbal exchanges, during a conversation with a peer. Ms. Griffin contradicted this testimony by also stating that Student was able to engage in only one verbal exchange with a peer before prompting was required. This contradiction, along with other testimony, demonstrated that Ms. Griffin was not familiar with Student’s IEPs, or, in particular, Student’s sole speech and language goal. 99. Ms. Griffin spoke very quickly during her testimony, and had to be admonished several times to speak more slowly, which was especially peculiar given that she is an SLP. She appeared nervous and often contradicted, or retracted, her earlier testimony. When she did not retract or contradict herself, her testimony was contradicted by other District provided evidence. For these reasons, Ms. Griffin was not a credible witness. Because the District failed to provide any other witnesses in the area of speech and language, it failed to support its argument that Student received a level of speech and language therapy designed to benefit him in special education. To the contrary, the evidence substantially supports Father’s contention that Student required more intensive instruction in this area of disability. 100. On March 13, 2013, during the last semester of Student’s senior year of high school, pursuant to his IEPs, Student again took the CAHSEE, with accommodations. Again, Student failed the ELA and math tests which make up the CAHSEE. 101. The District convened Student’s last IEP on April 11, 2013, which was an annual IEP team meeting. Although Student was 19-years-old at this time, he was not invited to this meeting. In addition to District staff, Parents attended this meeting. There was not an SLP at this meeting. Carrie Schwartz facilitated the meeting and again acted as the District’s administrator designee. 102. In IEPs, the IEP reported some areas of progress, but the team universally reported that Student was unable to do any work independently. In reading, Student was still unable to put two sentences together. In math, he was unable to process a multistep problem. In OT, Student continued to demonstrate a variety of visual, vestibular, and proprioceptive seeking behaviors; and difficulty with self-regulation. He still struggled with hand writing. In pragmatics, Student could not infer information and often responded to questions with an echolaliac repetition of the question. Student was still easily frustrated, and became very aggressive, including hitting, kicking, yelling and biting those who came into contact with him. Student still required a BII during every component of the day, even while on the bus. IEPs again found that Student’s disability hindered his ability to access the general education curriculum. 103. The April 11, 2013 IEP, provided placement at NHSHS through Student’s graduation in June 2013, in a general education curriculum, with SLD SDC’s for core classes and general education for his elective courses. The IEP provided identical accommodations to what was offered in the April 2011 and April 2012 IEPs. Similarly, this IEP provided no modifications to Student’s classwork or curriculum. 104. The April 11, 2013 IEP, failed to provide any special education related services, and provided a BSP and an ITP which were unmodified from the prior year. 105. Carrie Schwartz has a master’s degree in education, and teaching credentials in multiple subjects, special education, and administration. Ms. Schwartz has worked for the District for 29 years, with over 11 years teaching disabled students, and five years as a special education program specialist. She presently serves as an assistant principal at NHSHS. Ms. Schwartz knew Student before coming to NHSHS, as she had attended IEP team meetings for Student as a program specialist. Ms. Schwartz testified as a witness on behalf of the District. 106. Ms. Schwartz testified that the April 11, 2013 IEP meeting was an “exit” IEP meeting. She described that an exit IEP meeting is limited to determining whether a disabled student has obtained the credits necessary to receive a high school diploma. Normally, an IEP meeting requires a team discussion regarding a student’s overall progress and the modification or development of a pupil’s educational program. According to Ms. Schwartz, an exit IEP meeting is different from a regular IEP meeting, in that an exit IEP meeting is a “roll over” from the prior annual IEP and therefore does not require a review of information outside of the pupil’s credits. Here, because Student’s April 2013 IEP was an exit IEP, other than to determine if Student had met the school credits necessary to graduate, she described that the remainder of the IEP was “rolled over” from the April 11, 2012 IEP. 107. Ms. Schwartz emphasized that the April 2013 IEP meeting was held solely to confirm that Student had met the credits required to graduate from high school. She had reviewed Student’s credits prior to the IEP, and determined that Student had met, or was in the process of meeting, the number of credits necessary to graduate. Given this information, Ms. Schwartz described that she did not permit any changes to Student’s IEP during the April 11, 2013 meeting. 108. Ms. Schwartz’s description of this meeting was consistent with Father’s complaint that the IEP had been predetermined. He testified that Ms. Schwartz began the meeting with a preconceived plan to exit Student from high school, and that she did not permit any changes to this plan. Parents were adamantly opposed to the District’s decision to award Student a diploma and to graduate him from high school; however, their objections were not considered by the team or even recorded onto the IEP document. Ms. Schwartz’s testimony is also consistent with Ms. Holcombe’s description that Student’s inability to complete the STI was not discussed with Parents, or documented on the IEP. It is also consistent with Ms. Griffin’s conduct of skipping this meeting altogether, thereby denying Parent’s the opportunity to discuss areas of concern related to speech and language and assistive technology. 109. Ms. Schwartz reported that she did not invite Student to the April 2012 and April 2013 IEP meetings, although he was 18 and 19-years-old, respectively, at the time of these meetings, because several years earlier Father had verbally requested that Student not attend IEP meetings. According to Ms. Schwartz, she still felt obligated to this request despite Student having turned 18-years-old, years following this request. Moreover, she did not permit Parents to participate on Student’s behalf because they had failed to provide the District a copy of the conservatorship. Regarding these IEP meetings, Ms. Schwartz testified that Parents “were invited to attend, not to sign.” Neither the April 2012, nor the April 2013 IEP, has ever been consented to by anyone on Student’s behalf. 110. Ms. Schwartz has facilitated most of Student’s IEP meetings and has observed him on multiple occasions. She testified that she has also directly reviewed his state and district testing, including a 2012 triennial psycho-educational evaluation, which included standardized testing in the area of academics.7 However, Ms. Schwartz was unable to recall any scores which Student received pursuant to the state or District testing. She could not recall Student’s academic abilities, any standardized scores, or any grade equivalency levels, which Student received pursuant to any testing. Nonetheless, Ms. Schwartz speculated that because Student had received passing grades while attending an unmodified, general education curriculum, that he likely had academic abilities consistent with a 12th grade high school student. 7 The District’s 2012 psycho-educational evaluation was not submitted as evidence by either party, and the District’s school psychologist was not called to testify. 111. Ms. Schwartz described that although it was not unusual for Student to be physically restrained by District staff, the BSP had been an effective tool in curbing his problem behaviors. Yet, she was unable to recall what the specific problem behaviors were, how frequently they occurred, or to describe any particular information regarding Student’s behaviors, such as what she was basing her opinion on that the problem behaviors had been curbed. 112. Ms. Schwartz confirmed that Father has been a vocal critic of Student’s IEPs, and had requested more intensive services, a different school placement, and an alternative curriculum, throughout the last several years. Due to Parent’s objections, the District operated off of the April 7, 2011 IEP, during the 2011-2012 and 2012-2013 school years. She considers the April 2011 IEP, as Student’s “stay put” because it was the last IEP that was agreed upon on Student’s behalf. She reported that the District was permitted to graduate Student based solely upon the April 2011 IEP, because this IEP described that Student would receive unmodified schoolwork in the general education curriculum, and he had earned passing grades in each class based upon this IEP description. 113. Ms. Schwartz described that pupils who receive accommodations and not modifications to the general education curriculum were placed on a diploma track. Only students who receive modifications to the general education curriculum were eligible for an alternative graduation track, where they could work towards a certificate of completion and be eligible for special education through the age of 22. For Student, each IEP, including the operative IEP of April 7, 2011, provided various accommodations, but did not list any modifications. According to Ms. Schwartz, this meant Student’s schoolwork was unmodified from what was provided to his typically developing peers in the general education curriculum. He was therefore ineligible for a certificate of completion or for special education through the age of 22. Ms. Schwartz testified that because Student had received passing grades in classes where his work was unmodified, which was every class for Student; he was graduated after the regular four years of high school. She described that it did not matter that the 2012 and 2013 IEPs were not consented to by Parents or Student. 114. Similar to the prior IEPs, the April 11, 2013 IEP, does not document that Student will meet the CAHSEE requirement through an exemption. Ms. Schwartz testified that the District applies the CAHSEE exemption to all IEP eligible students, regardless what is documented in their IEPs. 115. Ms. Schwartz was not a persuasive witness. Her inability to recall any objective information pertaining to state or District testing, or to recall Student’s academic levels and problem behaviors, was not objectively reasonable given her comprehensive and lengthy role in Student’s educational career. Ultimately, her testimony substantiated Father’s contention that the April 11, 2013 IEP had been predetermined. Moreover, her testimony failed to support the District’s argument that Student had earned passing grades while participating in an unmodified curriculum. 116. Ms. Hall also testified on behalf of the District. She has a master’s degree in counseling, and credentials in adult teaching and school counseling. She has worked with the District since 1983, and has experience working with students with autism and learning disabilities. At the time of hearing, she had been an academic counselor8 for 19 years, and had been assigned to NHSHS for the last four years. Her duties included making sure that students were on track for graduation, with a focus on working with students behind in credits. Ms. Hall was Student’s counselor during his 12th grade year. No evidence was produced that Ms. Hall had reviewed Student’s IEPs or was directly familiar with Student. 8 Ms. Hall provided only academic, not therapeutic, counseling services. 117. Ms. Hall described the difference between students placed on the diploma track, compared to students who are working towards a certificate of completion. Pupils who are placed on the diploma track are required to graduate within the regular four years of high school, subject only to that pupil receiving failing grades and being required to retake a course. In comparison, pupils who are working towards a certificate of completion are placed on an alternative track where they receive a modified curriculum. These pupils are not required to graduate within the regular four years of high school, and will continue to receive school services until the earn a certificate of completion or through their 22nd birthday, whichever comes first. 118. During the 2012-2013 school year, Ms. Hall was responsible for reviewing the graduation eligibility for between 550 to 600 pupils, which included Student. Of those students, exactly 15 were placed on the alternative track, where they received a modified curriculum and worked towards a certificate of completion. The remaining pupils, which included Student, were all placed on the diploma track and received an unmodified curriculum. Ms. Hall testified that all 15 pupils who were placed on the alternative track were eligible for an IEP under the handicapping category of “mental retardation.”9 In her 19 years as an academic counselor, Ms. Hall has never seen a student who was placed on the alternative track who was eligible for an IEP in any area of disability other than intellectual disability. It is the District’s policy that intellectual disability is the only category of IEP eligibility which permits special education services through the age of 22 years. Ms. Hall pointed out that Student’s handicapping condition was autism, not intellectual disability. 119. Prior to his graduation in June 2013, Ms. Hall reviewed Student’s class credits, as recorded on the school computer, and observed that he had obtained the requisite 230 needed to graduate. Given this information, along with Student’s IEP eligibility of autism, Ms. Hall literally stamped her approval on Student’s transcripts that he met the requirements to be graduated from high school. 120. In May 2013, which was the last full month of Student’s senior year of high school, he participated in the California English Language Development Test (CELDT). The CELDT is given to students whose primary language is not English and as an annual assessment to English learners enrolled in kindergarten through grade twelve in California public schools. The CELDT is used to determine the level of English language proficiency of pupils who are limited English proficient. The CELDT is divided into five levels, ranging in descending order of ability from advanced, early advanced, intermediate, early intermediate, and beginner. Only when a student achieves the advanced level may he/she be considered ready to be reclassified out of the English learner program. Pupils who score at the early intermediate level have only emerging skills in that area. Pupils who score a beginner level in speaking on the CELDT demonstrate no productive skills, or may begin to use only basic vocabulary and responses with simple words or phrases. Here, Student scored at the early intermediate level in reading, writing, and listening; and at the beginner level in speaking. 121. Despite these low scores and IEPs indicating that Student still struggled with simple addition, understanding periods and question marks, answering “WH” questions, and could barely do any classwork, even with assistance, Student passed all of his 12th grade classes and again earned excellent grades: “B” in ceramics, “A” in art, “A” in principles of American democracy, “B” in theatre, “C” in modern literature, and an “A” in economics. 122. On June 7, 2013, Student graduated from NHSHS with a 3.1 GPA, the requisite 230 credits necessary for graduating, and was ranked 215 out of 648 students in his graduating class. Student’s eligibility for special education and related services expired upon his graduation. 1. In a special education administrative due process proceeding, the party seeking relief has the burden of proof. (Schaffer v. Weast (2005) 546 U.S. 49 [126 S.Ct. 528].) Here, the Student is seeking relief and therefore has assumed the burden of proving the essential elements of his claims. 9. Due process complaints filed after October 9, 2006, are subject to a two-year statute of limitations. (20 U.S.C. §§ 1415(b)(6)(B), 1415(f)(3)(C); Ed. Code, § 56505, subds. (l) & (n).) Here, Student filed his complaint on May 6, 2013, and he has not alleged that an exception to the two-year statute of limitations exists for this matter. Therefore, the issues that will be determined in this Decision are limited to conduct which arose after May 6, 2011. Issue One: Whether the District denied Student a FAPE by failing to provide a sufficient transition plan, adequate levels of services in speech and language and OT, and by failing to provide assistive technology? 10. Student contends the District denied him a FAPE by failing to provide him with an appropriate transition plan and transition goals for his post-high school needs. He asserts that from August 2011, through the date of filing, he has not been appropriately assessed regarding his transition needs, his ITP goals were not individualized, and the transition services identified in the transition plan were inadequate to meet his needs. Student also argues that the District failed to implement the ITP, which was last agreed upon in the April 7, 2011 IEP. 19. In its closing brief, the District reasserts its argument that Ms. Holcombe had provided Student the Janus test in 2009. The District’s closing brief also cites to District Exhibits One and 10, as evidence that it routinely updated Student’s ITP each year following the 2009 Janus testing up to Mr. Sanchez’s inventory assessment in February 2012. (District’s Closing Brief, pp. 5 and 6.) These arguments are not well taken for several reasons. First, Ms. Holcombe testified contrarily that she had not assessed, attempted to assess, or directly met with Student, until April 2013. (Factual Findings 71-76.) Second, testimony taken during the hearing did not illicit that the District had taken steps to update Student’s ITP at any point prior to Mr. Sanchez’s attempted testing in February 2012. (Factual Findings 68-76.) Finally, during the hearing, the District refused to submit its Exhibits One and 10. 21. The evidence also established that, since August 2011, the District did not provide the transition services called for in the April 7, 2011 ITP. The two individuals responsible for implementing the ITP goals and activities were Student’s case carrier, Mr. Sanchez and the DOTS teacher Ms. Holcombe, and each testified that they had not personally implemented any component of Student’s ITP. Mr. Sanchez testified that Ms. Holcombe had worked directly with Student to implement the ITP goals and community outreach activities described in the ITP. However, Ms. Holcombe more persuasively testified that she had never worked with Student regarding implementing any part of the ITP. She testified that she had not attempted any of the community based activities, or ensured that Student had explored a college or a community resource such as a bank, health care facility, or postal service, as called for in his IEPs. Ms. Holcombe also reported that the District failed to provide Student assistance in creating a resume or obtaining letters of recommendation, to obtain a driver’s license or other form of identity card, or to pursue a career in music or technology, as called for in the ITP. (Factual Findings 71-76.) The District’s failure to implement the ITP was not immaterial, but extended to every aspect of Student’s transition plan. 23. Student contends that the District’s offer of speech and language services did not offer him a FAPE. 27. Student contends that the District’s offer of speech and language services at one time per week, 30 minutes per session, was insufficient to remediate Student’s areas of speech and language deficit. Student argues that he is non-attentive, cannot communicate with peers, and has severe expressive and receptive language delays, which require individual services at two hours weekly to remediate. The evidence supports Student’s contention. 32. The District argues that its offer of OT services at one to 10 times per year, for a total of 200 minutes annually, was sufficient to meet Student’s OT needs. However, he failed to meet the IEP goal in this area, which was exclusive to improving his handwriting. As of the hearing, Student continued to write in reduced size with inconsistent spacing and orientation to lines. (Factual Findings 41 and 102.) This deficit impacted his ability to benefit in any class which required writing, which was every core class. The evidence shows that the duration and frequency of the OT service was not sufficient to benefit Student in this area of need. 38. The District’s argument against providing Student assistive technology relies exclusively on the testimony provided by Ms. Griffin. She testified that a pupil must be entirely non-verbal before an assistive technology services or device could be considered. She described that because Student has the ability to speak, he was not a candidate for assistive technology. However, Ms. Griffin was not a credible witness. (Factual Findings 99; Legal Conclusions 28.) It is also not objectively reasonable to believe that assistive technology is limited to the province of disabled pupils who are entirely non-verbal. Nor is it reasonable to believe that Ms. Griffin, given her many years as a SLP, is unaware that assistive technology is often utilized for disabled pupils, like Student, who have the ability to speak but who have communication deficits. (Legal Conclusions 36 and 37.) Consequently, the District’s argument that assistive technology is limited only to pupils who are non-verbal is not well-founded or persuasive. 40. A preponderance of the evidence thus shows that Student required assistive technology to benefit from special education. The District’s failure to offer assistive technology in the April 11, 2012 and the April 11, 2013 IEPs, resulted in IEPs which were not designed to address his unique needs. Issue Number Two: Whether the District procedurally denied Student a FAPE by failing to ensure meaningful parent participation at the April 10, 2013 IEP meeting, by predetermining the IEP offer? 42. Student contends that the District committed several procedural violations in connection with the April 11, 2013 IEP meeting. Student argues that the IEP was predetermined by the District prior to the meeting, and that Parents were not permitted to meaningfully participate at this meeting or in the development of Student’s IEP. 49. It is also notable that, although Ms. Holcombe attended Student’s April 11, 2013 IEP meeting, the team did not consider Student’s postsecondary transition needs when developing Student’s exit IEP. Ms. Holcombe failed to disclose that Student was unable to complete the STI just days prior to the April 2013 IEP, even with the assistance of his BII. (Factual Findings 73, 102-104.) The District’s failure to inform Parents of Student’s inability to complete a simple transition inventory, and to include an IEP team discussion regarding this area of concern, seriously interfered with Parents’ ability to participate at this meeting. Moreover, Student’s inability to read, write, or communicate, as reported by Ms. Holcombe, should have elicited an IEP discussion regarding Parents’ request that Student be placed on an alternative track, rather than be graduated two months later. Issue Number Three: Whether the District denied Student a FAPE by awarding him a high school diploma? 52. Student contends that he was improperly graduated with a regular high school diploma because he was unable to do the work required to pass the courses for which credit was given. The District disagrees, arguing that Student did the required class work in an unmodified manner and met the requirements for graduation from high school with a regular diploma. 57. The District asserts that Student received at least the requisite 230 credits required for receiving a diploma and graduating from high school Credits are umbilical to grades, and the District relies almost exclusively on Student’s passing grades as evidence that Student met the primary requirement of class credits as a condition to graduate. 58. However, this evidence, by itself, is superficial. It is the role of the ALJ to delve below the prima facial evidence, which consisted solely of a computer generated list of Student’s grades, and to examine the context of those grades and resulting class credits. 64. A preponderance of the evidence shows that the District did not provide Student an educational program which comported with his April 7, 2011, April 11, 2012, or April 11, 2013 IEPs, or one which aligned with the state’s academic standards. Rather, Student was provided a highly modified curriculum in contravention to the unmodified curriculum which was described in each IEP and required to receive a regular high school diploma. 69. Based on Legal Conclusions 2-6 and 10-41, the District denied Student a FAPE during the 2012-2013 and 2013-2014 school years by providing IEPs which failed to provide a sufficient transition plan, sufficient level of speech and language and OT services, and failed to provide assistive technology. 70. As compensation for the transition plan, Student is entitled to receive a compensatory transition plan. To ensure that the transition plan is individualized to his needs, the District shall provide an assessment of Student’s current transition needs by an independent assessor with experience in developing transition plans for adults with autism and behavior difficulties. The District shall have 60 days to complete this transition plan and to hold an IEP meeting to review the plan, but may complete the assessment and plan within 30 days to accord with the IEP meeting required under Legal Conclusions 74. 71. Student is also entitled to compensatory speech and language services. In his complaint, Student requests two hours per week of compensatory speech and language services. This level of services is congruent with the related disabilities identified in Factual Findings 19, 23, 24, 25, 31, 32, 49, 52, 55, 64, 67, 73, 88-99 and 102. Student’s request is therefore granted. As compensation, the District shall provide 78 hours of compensatory speech and language services, which represents two hours per week, during the 2012-2013 and 2013-2014 school years, up to October 26, 2013, the date the District must reconvene an IEP meeting based upon Legal Conclusions 74. 73. Based on Legal Conclusions 2-6 and 35-41, Student is entitled to receive compensatory assistive technology services. It is equitable to ensure that Student’s needs in this area are individualized. Therefore, the District shall provide Student an assessment of his current assistive technology needs by an assessor with experience in implementing and monitoring assistive technology for adults with autism and severe communication delays. The District shall have 60 days to complete this assessment and to hold an IEP meeting, but may complete the assessment within 30 days to accord with the IEP meeting required under Legal Conclusions 74. 74. Based on Legal Conclusions 2-7 and 43-51, the District denied Student a FAPE for the 2013-2014 school year by predetermining his April 11, 2013 IEP. The District shall convene an IEP meeting within 30 days to discuss with Parents any educationally based concerns which they may have pertaining to Student, and to develop a FAPE offer which is designed to meet Student’s unique needs for the remainder of the 2013-2014 school year, and extended school year. 75. Based on Legal Conclusions 2-7 and 53-65, the District denied Student a FAPE for the 2013-2014 school year by unlawfully graduating him and terminating his special education following June 7, 2013. Student’s regular high school diploma is therefore invalid and he is entitled to receive a special education program until the end of the school year in which he turns 22-years-old. The District shall convene an IEP meeting within 30 days to develop a FAPE offer which is designed to meet Student’s unique needs. 1. The District shall fund an independent consultant to develop an individualized transition plan for Student, and to attend an IEP meeting following the development of the individualized transition plan. The individualized transition plan shall be completed, and the IEP meeting convened, no later than 60 days after service of this Decision on the District. 2. The District shall provide Student 78 hours of compensatory, individual speech and language services, beginning no later than 30 days after service of this Decision on the District. All services shall be provided, and utilized, by no later than September 26, 2015. 3. The District shall provide Student 39, 45-minute sessions of compensatory, individual occupational therapy services, beginning no later than 30 days after service of this Decision on the District. All services shall be provided, and utilized, by no later than September 26, 2015. 4. The District shall provide Student an assessment in the area of assistive technology. The assessment shall be completed, and an IEP meeting convened to review the assessment, no later than 60 days after service of this Decision on the District. 5. The District shall convene an IEP meeting within 30 days of this Decision to provide Student a FAPE at an adult educational placement. The District shall ensure that Parents are provided the opportunity to meaningfully participate at this IEP meeting. 6. Student shall be deemed eligible for special education and related services until the end of the school year in which he reaches 22-years-of-age. 7. Parents and the District may modify any part of this Order by signing a mutually agreed upon IEP. Decision must indicate the extent to which each party has prevailed on each issue heard and decided. Here, Student prevailed on all issues.